Joyride is that most elusive of creatures: a fun, engaging science-fiction comic book that is also whip-smart. In this age of grim and gritty stories, calling a comic “fun” might seem like an insult, but rest assured, it’s not. Co-writers Lanzing and Kelly, whose previous work together includes the well-received Hacktivist and Grayson, have crafted a story that moves along at a fantastic clip and is full of raucous action and likeable characters. 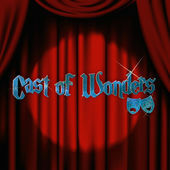 Lurking beneath the shiny surface are some serious questions about family, friendship, and relationships, but it’s all kept light and none of it causes the story to drag—a balancing act that is nothing short of magic. Lanzing and Kelly are aided in all of this by artist Marcus To and colorist Irma Kniivila. Their artwork recalls a brilliant retro-future while still feeling fresh and bold. To handles the emotional and tonal shifts with ease because the characters he draws are amazingly expressive. The best part of all of this, from the reader’s standpoint, is that this is only the first volume of an ongoing series. Here’s hoping many more will follow. 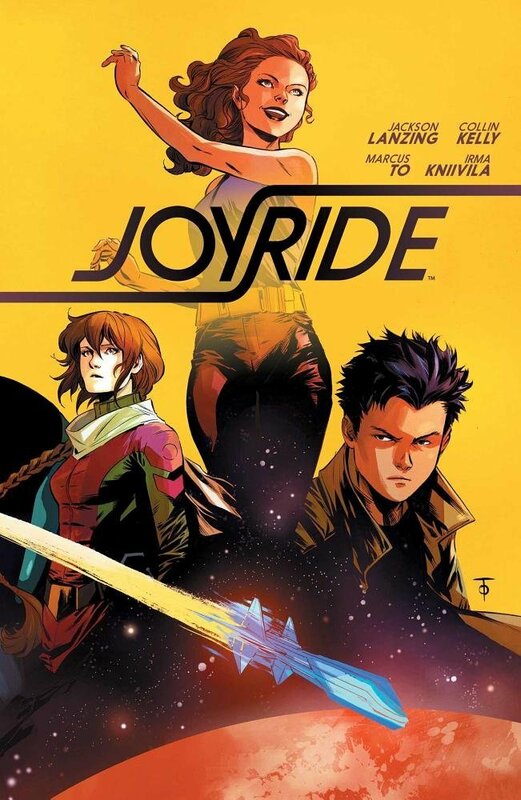 Co-writer Jackson Lanzing was nice enough to answer some questions for us about Joyride, the process of creating the comic, and what might come next. Mothership Zeta: The thing that struck me right away about Joyride was that, despite a backdrop of totalitarian oppression and high stakes for your heroes, you keep the tone light. Did you decide on that sort of tightrope walk from the outset, or was it dictated by the choice of Uma as a main character? Jackson Lanzing: Marcus, Collin and I set out on this project with one overriding goal: bring a fun, teenage road trip into the relatively bleak science fiction landscape of comics. As kids who grew up on Star Trek: The Next Generation, Farscape, and The Fifth Element, we had a real desire to go back to that technicolor craziness that once existed in our collective imagination when it came to what waited for us beyond the sky. In essence, we wanted to make space an adventure again. From the very outset, we knew our characters would begin the story by essentially hotwiring a spaceship and heading into the stars. That came along with having a good reason for them to leave – not just something frivolous, but something true. And who among us hasn’t been a teenager who felt that the world was holding them down, blotting out the stars, keeping the world gray and flat and lame? None, say I. When I left my hometown, I found that the wider world was weirder – and more normal – than I ever could’ve imagined. So we translated those hopes and immaturity onto Uma, who immediately grabbed hold of the book and pretty much dictated tone to us.